Boccard, an international energy expert and assistant professor of economics at the University of Girona, Spain, has written and published in Energy Policy prior reports exposing exaggerated wind production claims made by energy companies in Europe. 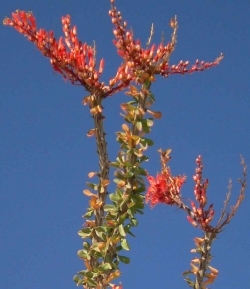 The Ocotillo report authored by Boccard was commissioned by the Desert Protective Council but its findings have since been independently validated by multiple experts. Concerned tribal leaders, environmentalists and residents initially kept the Boccard report on Ocotillo confidential, but did share copies only with their public officials-- members of Congress and the Legislature, who failed to take action to prevent the project from being built—with one exception; one Congressman sent a letter to the U.S. Treasury Department asking that funds for the project be halted pending an investigation of wind speeds, but the agency failed to act. The other political leaders appear to have done nothing to investigate the fraud allegations before the project was built. Confronted with the year-end wind speed data, however, a second Congressional member has now taken action, asking the U.S. Department of Energy to investigate fraud claims. The citizens’ coalition also provided evidence strongly suggesting fraud to the North American Development Bank, which financed the project, but the evidence was ignored. Documents obtained by East County Magazine, which were provided to NADB, suggest that Pattern falsified maps to make it appear that wind turbines would be built atop windy ridges 3,000 feet higher in elevation than the flat desert sands on which the project was actually built. Boccard’s report has not been published—until now. East County Magazine received the Boccard report on Ocotillo Wind before the Federal Energy Regulatory Commission (FERC) released its data on the project’s actual wind production, under condition that we withhold publication until the first full year of wind speed data was available and analyzed. That analysis is now complete, confirmed by multiple experts. Pattern Energy has not responded to our requests for comment on this story. The finds raise doubts not only about the Ocotillo project's viability, but about the fast-tracking process and the potential viability of other projects proposed in our region. Pattern Energy has indicated it aims to expand to add a future phase at Ocotillo. Federal agencies and San Diego County have approved Tule Wind, a massive project slated to be built in McCain Valley. Plus San Diego's Supervisors recently enacted a controversial county wind ordinance that would open wide much of East County to industrial-scale wind energy development. Scroll down for details with links to full documentation regarding the dubious claims in Ocotillo and citizens' efforts to expose what they contend is fraud. “ We thought this was a terribly inappropriate and destructive project to begin with,” Terry Weiner with the Desert Protective Council told East County Magazine. The DPC, along with Native American tribes, residents and others, had grown frustrated that new federal fast-tracking procedures had failed to heed serious concerns raised by the project—including doubts about the developer’s wind speed projections raised by Jim Pelley, an aerospace engineer and Ocotillo resident, and others. So the DPC with help from consultant John Kennedy of San Diego sought out Boccard, a University of Girona, Spain faculty member and wind energy expert who had authored a prior report which found that the wind industry in Europe had published wind production estimates that were overly optimistic, given the experiences of Denmark and Germany. Kennedy had learned about Boccard after reading peer-reviewed materials in the book Green Illusions: the Dirty Secrets of Clean Energy and the Future of Environmentalism, by Ozzie Zehner. How inflated were Pattern Energy’s claims, in Boccard’s estimation? To produce as much power as Pattern projected would require wind speeds higher than some of the windiest places on earth, such as Ireland’s Atlantic coast wind projects. Overall, Ireland had a 30% wind capacity factor for the past decade, Boccard found. He then predicted that the actual power produced at Ocotillo would likely range between 20% and 23%. In fact, wind production at Ocotillo during its first year was even lower than Boccard forecasted. After obtaining federal data from FERC following a long day delay due to a website upgrade at the agency, we had four different sources crunch the numbers based on a standard mathematical calculation for wind capacity factor. Below are the results. 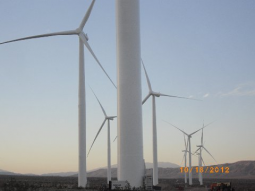 Over the year 2013, the Ocotillo Wind capacity factor was somewhere between 15.7% and 17.7%. Expert calculations varied slightly, due to minor variables and whether turbine sizes were 2.3 or 2.37 MW, how long each turbine was actually offline, and so forth. All turbines were off line for the last half of May, and some remained offline for June and a portion of July due to the fallen blade. 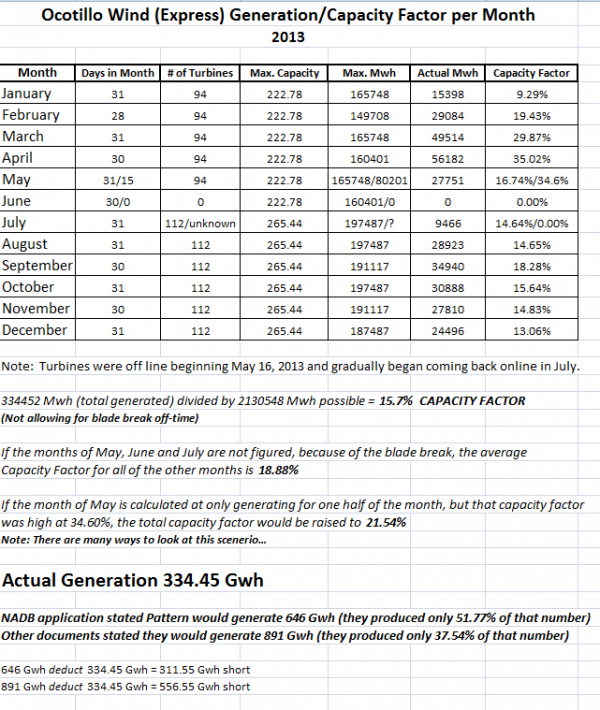 But even if we look at only the 9 months with full data, the capacity factor is still only 18.9%. If we make a generous estimate of strong winds for those months (purely a guess) and estimate how much the project might have produced if it hadn’t dropped a multi-ton blade and been forced offline, the number would still be only about 21.5% in a best case scenario for Pattern. Overall for the year, Pattern’s project generated only 334 gigawatts (Gwh of power. That’s astonishingly short—less than 52%--of the 646 Gwh that Pattern claimed in its application to the NADB. It falls even more short—just 37.5% of an even higher claim, 891 Gwh, that SDG&E claimed the project would produce in a resolution sent to the California Public Utilities Commission. Even allowing for a fallen blade, it’s clear that this project could not have come close to the wind production claims made to secure financing, a 30% cash grant under Section 1603, and an approved Power Purchase Agreement funded by SDG&E ratepayers. The following calculations were made by Parke Ewing and Jim Pelley, a former construction superintendent and an aerospace engineer in Ocotillo. Since both are on record opposed to the project, East County Magazine’s staff ran the calculations and confirmed their estimates. We then sent the data to Reza Alam, a wind energy expert and assistant professor of mechanical engineering at the University of California, Berkeley College of Engineering. At the time, we had the first 11 months of data. “Yes, capacity factors are calculated correctly,” Alam confirmed. He added, “Anything below 30% capacity factor for wind is considered relatively low.” He added that other factors may impact output such as storms, long-term weather patterns, turbine models and efficiency. Boccard calculated that if the blade had not fallen, Ocotillo might have reached at best a 17.7% capacity factor and 379 Mwh for the full year—far below Pattern’s projections. Boccard subsequently crunched some more numbers, comparing data from the Kumeyaay Wind facility in nearby Campo atop a ridgeline. He found that the Kumeyaay facility lived up to its projected capacity factor, actually hitting 33.9% for the year overall—nearly spot on the 34% that Pattern predicted for Ocotillo. Pattern Energy’s predecessor built the Kumeyaay wind facility (photo, right), so the company had good reason to know that wind speeds at the higher elevations were strong. But why would Pattern claim an identical capacity factor for Ocotillo, knowing the site is on flat desert, at several thousand feet lower in elevation in an area ranked only a class 2 wind resource area? The False Claims Act, also known as the Lincoln Law, imposes liability on companies or people who defraud the U.S. government, typically federal contractors. Over 70% of such cases are initiated by whistleblowers, who can share in a portion of any financial recoveries. Over $35 billion has been recovered under the False Claims Act from 1987 to 2012. Alam stated that he, too, might support decommissioning if turbines could be reassembled elsewhere. Pattern's spokesperson, Matt Dallas, failed to respond to multiple requests for comment including requests sent to his email list listed as a current contact on an April 25, 2014 press release on Pattern Energy's website. We also asked Pattern to disclose proprietary wind data now that the project is built, but the company ignored our requests over several weeks. John Calloway from Pattern Energy, at a public Bureau of Land Management scoping meeting on Ocotillo wind, made this statement, “Why here in Ocotillo?” He then showed a map from the National Renewable Energy Laboratory of wind resources at 50 meters above ground. “As you can see, almost all of Imperial County is absolutely no wind,” he stated, then later added that their measurements confirm that “as the wind comes off of the mountains, as it hits the flat area it starts to dissipate out and it just goes away,” confirming that Pattern knew the flat desert area lacks wind, unlike the ridgelines above. View video with embedded clip from the meeting. Numerous interested parties have sought to obtain the full data on all testing, but neither the federal government nor Pattern would release that information, claiming it is proprietary data. In other words, your government wants to keep secret whether or not your tax dollars are being paid out for projects that may have been funded based on incomplete, inaccurate, or outright falsified reports. 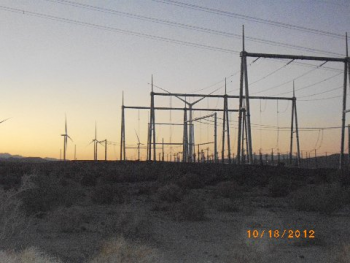 But William C. Pate, an attorney representing Ocotillo residents, has concluded in a letter he sent seeking to block funding of the project that Pattern falsified data to make it appear that the project would be situated atop ridgelines –where winds actually are strong. Numerous opponents of the Ocotillo project sent letters to the NADB or BECC urging that funds be withheld on a wide range of grounds. But Pate’s letter stood out for bold-faced allegation that Pattern provided misleading data on not only wind speeds, but the location of the project itself. 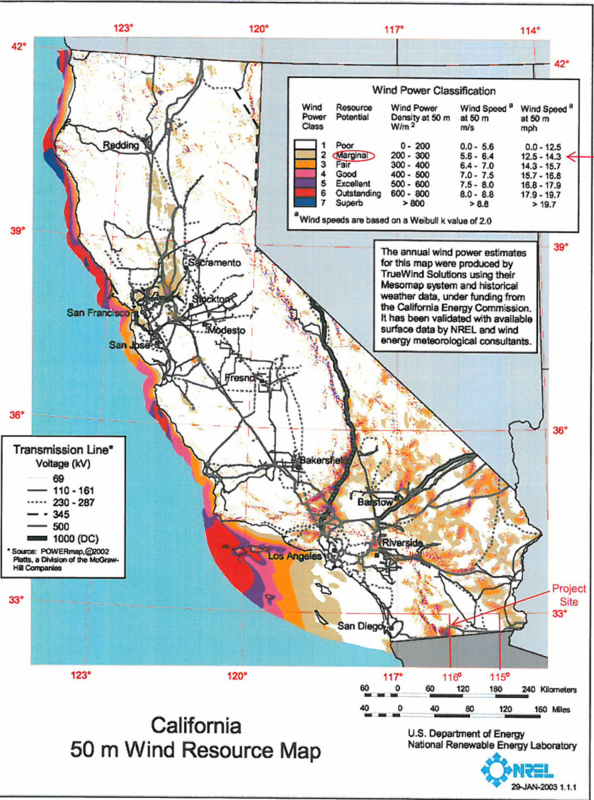 In a letter to the BECC, Pate overlaid maps from Pattern and from the National Renewable Energy Lab (a California wind resources map). His shocking conclusion: the NREL map that Pattern submitted with its application “has been altered to remove longitude lines and Interstate 8 as a point of reference…GPS coordinates do not lie.” But Pattern did lie, Pate contends. “GPS confirms that contrary to Pattern’s statement in this federal financing proposal, none of the project boundary is where wind speeds achieve “excellent” and above cla ssifications." According to the maps Pate provided, Pattern’s application for certification and financing falsely indicated that the project would be located 3,000 feet higher in elevation and substantially further west than where it was actually built. Pattern’s mapping (click to see enlarged copy of map, right) would have placed the project atop the Mountain Springs grade at Boulder Park, where the Desert View Tower in Jacumba is located –a place known for his strong winds—and a place off-limit to development due to bighorn sheep habitat and other factors. Moreover, Pate noted, the Record of Decision approving the project lists blade diameters that were never included when the project was built. “Complete bait and switch,” he said. Pate wasn't the only one to alert the NADB. Edie Harmon, a biologist, wrote in her comments to the NADB, that a review of San Diego-Imperial Counties at the NREL website revealed that, "Indeed, the project area for Ocotillo wind is not even mentioned as one of the places with records of high wind potential at . Similarly, a review of the Wind Atlas map for southern California suggests that the site for the Ocotillo Wind Energy Project is not a good wind resource. ," she wrote. Harmon added, "Because I could not locate the source of any map for Southern California which looks anything like the overlay on BECC Figure 6, I conclude that the NREL maps are more likely to be an accurate assessment of wind resource potential. Failure of the OWEF EIS/EIR to provide the results of any wind speed data at the site should raise considerable concerns with the BECC staff about a potential recipient of a NADB loan." Many similar complaints were made to elected officials in Congress and to the Bureau of Land Management (BLM), but the project was built anyhow atop 12,000 acres of publicly owned BLM land. Before construction, residents were so confident that the area lacked winds that they staged a public kite-flying contest and invited the media, offering cash prizes for any child who could fly a kite for at least one minute. None could. Since construction, Pelley has taken videos nearly every day documenting in almost all cases, turbines not moving, or barely moving due to no or low winds far below what a viable project would need. 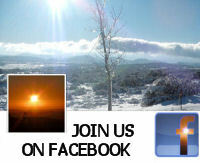 View sample videos. Also read about serious questions about wind production vs. claims around the world and at Ocotillo raised in our January 2013 special report, Where is the Wind? A judge later issued restraining orders against Graham to protect both photographers. Graham claimed in court that he made a mistake on the wind production remark. So why didn’t he simply ask to have his statement /explanation added to the photographer’s story, which was published on ECM? 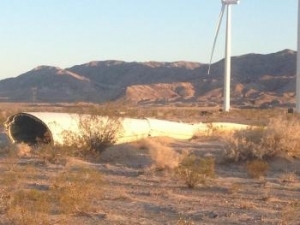 Edi Harmon, a biologist and Ocotillo resident, wants to know if Pattern misled the government and is upset that records on wind tests are kept secret. Consultant John Kennedy says the FERC findings on poor energy output in Ocotillo demonstrate that Boccard’s predictions were accurate and Pattern’s were wrong. “The Boccard report serves as a big `We told you so’ and all the while, local Congressmen had the Boccard report and sat on their hands,” he concluded. The DPC wanted to release the Boccard report immediately, but after consulting with other stakeholders, decided to wait in hopes that their Congressional members would agree to hold a joint press conference to expose what increasingly looked like a taxpayer-funded boondoggle, Weiner told ECM. Despite the Boccard report bearing out this forecast, however, officials largely ignored such concerns and one official, Congressman Darrell Issa, led residents and tribal representative to believe his House Oversight Committee would take action, but dropped the ball entirely. But three months passed, and nothing was done. A string of emails from Issa’s office to concerned citizens revealed repeated promises of a full investigation, but we could find no evidence that any such investigation was ever done. Our pointed request to Issa, including asking if defrauding taxpayers should be a matter his committee should investigate, never received a response. The project opened in December 2012. Congressman Issa declined to meet with his concerned constituents until January 2013, at which time he said his staff needed to vet Dr. Boccard’s finding. “We have been waiting for 12 months for any word from his office,” Kennedy said. ECM contacted several Issa staffers with a detailed list of questions, but did not receive any response. 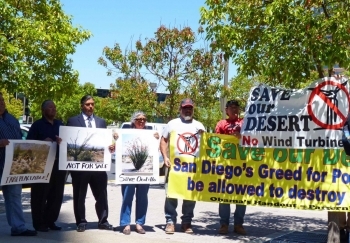 The group also asked then-Congressman Bob Filner and later, Congressman Juan Vargas to ask the U.S. Treasury Department to withhold all stimulus funds pending an investigation into the wind speed claims. “To date, there has been a deafening silence,” Kennedy said. Rep. Filner, before stepping down from Congress to become Mayor of San Diego, did send a letter to Treasury Secretary Timothy Geitner asking that the funds be withheld. Written shortly after the Solyndra scandal over a failed solar company in which the government had invested taxpayer funds, Filner’s letter included this hand-written note in the margin: “Mr. Secretary--this could be another embarrassment for the Administration.” A Treasury official, Richard Gregg, wrote back to Filner indicated the agency would look into the matter. The letter said payment is required to any applicant meeting statutory criteria, but that a review of the application would be conducted as in all applications to determine if eligibility criteria had been met. Geitner subsequently has been replaced as Treasury Secretary. ECM sent a public records request to the Treasury Department asking to see results of its “review.” We received hundreds of pages in response, with more than a thousand pages more withheld on various grounds including proprietary data. However all the key portions that might have proved informative had been redacted, or blacked out. The agency also refused to turn over any correspondence with Pattern, members of Congress, or the White House. Viejas Chairman Anthony Pico, along with Kennedy, met with Aaron Allen, a staffer for Congressman Juan Vargas, who replaced Filner. A Vargas staffer read a statement on behalf of the Congressman into the record at a California Native American Heritage Commission (NAHC) hearing in San Diego. 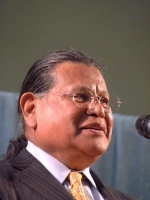 Vargas supported Viejas’ request, granted by the NAHC, to declare Ocotillo a scared cemetery and chastised the BLM for building atop a site that tribes had testified repeatedly to federal and local agencies had been a burial site for over 10,000 years. The NAHC Chairman indicated he believed the Ocotillo project should be torn down for desecrating Native American cultural resource sites that should have been protected under federal and state law. Vargas office did not initially respond to constituents’ requests for help to stop taxpayer funding of what increasingly appeared to be a boondoggle project in Ocotillo. Last June, in a meeting with Vargas staffer Jason Moore in Chula Vista, Kennedy recalled, “He already had seen the Boccard report or was aware of it because it had been given to the Congressman at the Chairman Pico meeting. We discussed fully all of the issues.” He was referred to Vargas’ El Centro office and further, advised that since the project was now operational, this was a state issue (despite being a federally funded project on federal land) and referred them to State Senator Ben Hueso. “We met with Ben Hueso on October 18, 2013,” said Ocotillo resident Parke Ewing. But Hueso’s office took no actions. Our initial request for records of correspondence to Vargas office was rejected because Congress has exempted itself from the Freedom of Information Act. However, at a meeting with constituents of the Congressmen at his Imperial Valley office, a Vargas staffer , Rebecca Terrazas Baxter, did obtain FERC data on wind records that had been unavailable previously despite repeated requests from FERC. After ECM forwarded analysis of the wind data for Ocotillo’s first year, along with other documentation such as the claims of map falsification and more, we received a response from Dianna Zamora in Rep. Vargas’ office in Washington D.C. on March 1, 2014. “I would like to thank you and our constituents, as it is clear that you did your due diligence,” she stated. The Congressman takes any accusations of impropriety or fraud very seriously. He has reached out to the Department of Energy to share with them the information you have provided.” She added that Vargas has asked the best method for evaluating the information to “determine if any wrongdoing has occurred,” she added, promising to get back to us “as soon as we hear details of the Department’s evaluation.” Two months later, we have not received a response. Congresswoman Susan Davis’ office also made efforts to obtain the FERC records on our behalf, questioning whether FERC’s delays in providing data may have violated federal law. We also reached out to Senator Barbara Boxer’s office with a detailed list of concerns and requests, since Senator Boxer chairs the Senate Environmental committee. Her staff referred our request to the committee, which in turn passed the buck back to her office. Neither ever responded to our requests, other than to refer us to Matt Weiner, legislative director for Rep. Henry Waxman, to assist us in getting wind speed data. He didn’t. In each of our inquiries to officials – Issa, Vargas, Davis, and Boxer, we attached the Boccard report, Filner’s letter, additional documentation and a sked how many other “green” projects might be similarly questionable or even fraudulent. Nor is this the only indication of misleading claims made by Pattern. ECM has previously documented dubious claims made about earthquake seismic safety, distances from homes and earthquake faults, avian radar, health, safety and jobs, and wildlife issues at a project that has also been linked to Dust Bowl-scale dust storms and pollution of Ocotillo waterways and residential areas with a flammable dust suppression chemical. The company also drew criticism from multiple Native American tribes for desecrating sacred sites and burial grounds. In addition, the project also destroyed groves of century-old Ocotillo plants for which the town was named, as this video and the photo (right) shows. Why didn’t public officials do more to prevent taxpayer dollars from being squandered on a wind project that appears to lack adequate wind resources? We don’t know. What we can tell you, however, is that officials in both parties have taken substantial sums of money in campaign contributions from vested special interests including energy companies, utilities, and labor unions that all backed construction of the Ocotillo wind project. According to Open Secrets, Rep. Issa’s top 20 contributors in 2009/2010 included Leidos Engineering (formerly SAIC). Leidos, which has wind projects, contributed $20,000 to Issa and its executives or employees donated another $9,600 for a total of $29,600. In 2011/2012, Leidos and its representatives gave even more--$41,150 --to Issa. Issa had other energy industry donations including oil companies; Carlyle Group, Pattern’s parent corporation, also has oil interests. Carlyle was also a major donor to the Republican National Committee, giving $35,000. Rep. Vargas received $52,000 in his 2012 campaign for the state legislature from the building trades union, which supports wind project construction to create jobs. 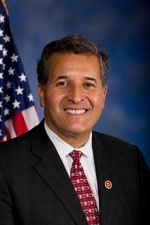 His second highest contribution in his 2014 Congressional race was the International Brotherhood of Electrical Workers, which backs construction of industrial wind projects and power lines. State Senator Hueso received $8,000 from Sempra Energy and $28,200 from electric utilities, as well as $175,300 from general trade unions. Perhaps. But if a project repeatedly fails to produce the power promised, where will replacement power come from? Building additional power plants, power lines and substations are costs that in part have historically flowed back to ratepayers to absorb. Ramp added that SDG&E had to comply with state law requiring it to meet renewable portfolio obligations. She said Pattern placed successful bids and received all required state and federal approvals to construct the project. In addition, SDG&E’s contracts were reviewed and approved by the California Public Utilities Commission (CPUC) as being “in the best interest of SDG&E’s customers,” Ramp stated. But federal tax subsidies are coming directly out of taxpayers’ pockets—and not just for construction. 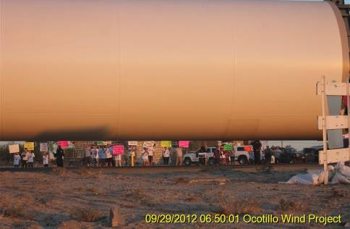 Wind projects reap subsidies for years or even decades on each wind turbine—and Ocotillo has 112. This amounts to many millions of dollars per project. Moreover, KCET reported that the IRS recently revealed that many energy companies have been illegally double-dipping, taking both stimulus funds and wind production tax credits—but that the agency has no mechanism to check and find out how many companies may have engaged in this form of theft from taxpayers. ECM has asked the IRS whether Pattern Energy was among companies found double-dipping in an initial check, but has not yet received a response. The Washington Post recently ran an editorial calling for an end to wind production tax credits, noting that the credits have been renewed repeatedly “with a cockroach-like resilience” despite evidence of what the Post calls a “boondoggle” as “industries develop to chase federal handouts.” The Post calls for a simple, transparent tax on carbon credits instead. 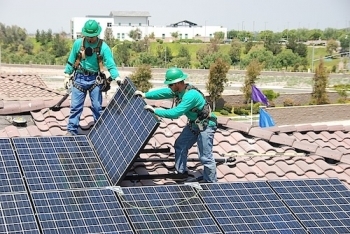 Others, including the DPC, favor shifting tax credits to homeowners and business owners to install solar on rooftops (distributed generation with power produced near where it is used instead of remote industrialization of public lands). Rooftop solar increasingly is being shown to be available at lower cost than wind projects and with far fewer negative impacts on the environment, wildlife, public health and safety. Ironically, utilities are required to produce 33% of their power from renewable sources by 2030 in California—but due to utility lobbying, state law does not allow utilities to even consider rooftop solar as alternatives to utility-scale projects such as Ocotillo wind. Utilities make money charging back costs to ratepayers for every mile of transmission lines, so remote projects are far more profitable for utilities such as Sempra Energy, owner of SDG&E. A bundled energy sales agreement signed by SDG&E reveals the utility aims to sell power to outside companies who are not ratepayers, and the agreement includes Ocotillo Wind as well as planned Soitec solar facilities not yet built or even approved. "SDG&E apparently does not even need the energy from these projects," Tisdale said, adding, "Thanks for all you do to expose this ongoing fraud." Utilities also support construction of backup gas-fired “peaker” power plants such as Quail Brush proposed near Mission Trails Regional Park for when the wind doesn’t blow, which in Ocotillo is the vast majority of the time. Cogentrix, applicant for the Quail Brush project, is owned by the Carlyle Group—the same company that owns Pattern Energy, developer of Ocotillo wind. Carlyle's 2009 Annual Report confirms that Carlyle founded Pattern Energy. Riverstone Holdings, parent of Pattern Energy, formed a joint venture partner of the Carlyle Report, Bloomberg News reported. Thus if the Quail Brush gas plant is approved by the CPUC, Carylye would be poised to make money regardless of whether Ocotillo produces significant power or not. For area residents, tribes, and environmentalists, destruction of the Ocotillo desert now seems not only heartbreaking, but senseless. Miriam Raftery is a national award-winning journalism who has won more than 200 major journalism prizes, including top honors from the Society of Professional Journalists in San Diego and the San Diego Press Club, for her investigative and environmental reporting on issues involving the Ocotillo Wind Energy Facility. She has a B.A. degree in Environmental Studies from the University of California, Santa Barbara and is the Editor and Founder of East County Magazine, a nonprofit, nonpartisan media outlet which has won over 58 awards. You can help support independent reporting in the public interest by donating online at www.EastCountyMagazine.org. Note: to print this story, click the "print friendly" button at the top right of the screen. Because stories display differently on different screen sizes, not all images will print the same on every printer. Conditions in the Pacific Ocean are poised to create another "El Nino" in the Winter of 2014. Ocotillo residents may be flooded again due to the construction/destruction. Thanks you for more information regarding the abomination that is Pattern Energy. How anybody could let this happen for $$ only is beyond reason. Greed and short shortsightedness has destroyed a beautiful area. Wind farms need at least 23 MPH winds to generate maximum power. Anything less and the power output drops dramatically. Basic science and physics lands this wind farm at rock bottom on the power curve. Many days NONE of the 112 turbines are turning for hours on end. Quite a laughable sight. This wind farm is doomed to fail not only from lack of fuel. The project is plagued from substandard winds, and negligent engineering. Wind farms are not a solution to global warming. Inefficient and unreliable wind farms are coupled with gas "peaker" plants so the power company can fabricate rate increases on many fronts. Take Those Wind Turbines Down! What good are wind turbines sited in a place, namely Ocotillo, where there's not enough wind to make them worth our taxpayer investment? And why put in a power plant in another place, namely Santee where I live, that takes more of our taxpayer money to support those wind turbines? And why string miles of transmission lines all over several places, namely our East County, that also wastes our taxpayer money to support those wind turbines? Well done, Miriam! You, along with many others, have undeniably documented the TRUTH with facts and photos. Now is the time to stop all this waste of our taxpayer money and put it towards something that REALLY works, such as rooftop solar, and leave our public lands to be enjoyed by the public. Miriam, thank for asking the tough questions that may reveal the fraud behind the development of the Ocotillo Wind Energy Facility that surrounds my home. As I am commenting to your excellent article, I can't help but notice that the wind turbine blades are either stopped or barely turning with no suitable winds to actually be powerful enough to generate any electricity for the SDG&E customers in San Diego.